 Rudi's Choice provides expert, hand-selected collections of the best contemporary granite, onyx and marble from around the world. Rudi Eggers’s extensive experience and expertise ensure that you get the best quality and value-for-money possible. His personal mission to source exquisite materials at source guarantees individual slab quality and the assurance of professional handling and delivery of materials. Our Collections – Rudi’s selections are shipped from the furthest reaches of the globe to South African ports, which are available locally in the Rudi’s Choice Granite Collection and the Rudi’s Choice Marble Collection. Choice is Everything – with Rudi’s Choice, you’re bound to find the granite, marble or onyx material to suit your individual taste that will complement your environment.